If you have been following the plot since this blog was started, you will already know that hockey, of both the ice and inline variety, is a very important part of my personal life. It is also while playing hockey that I destroyed my ankle, and one of the main motivations in proving the Doctors wrong when they told me „youll never play sports again, and hockey you can DEFINITELY forget about,“ was to return to competitive hockey in Argentina (which by the way I did successfully only 9 months after the injury, playing last season in the Buenos Aires „A“ division). As far as inline is concerned, Buenos Aires has a relatively competitive league, composed of Argentines who learned the sport while living abroad (my case with Boston, USA), foreigners living in Buenos Aires, and over the last few years kids who are now in their prime playing age (17-25) who have always lived in Argentina, but since the league was started in the mid 90s, have been playing all their lives. 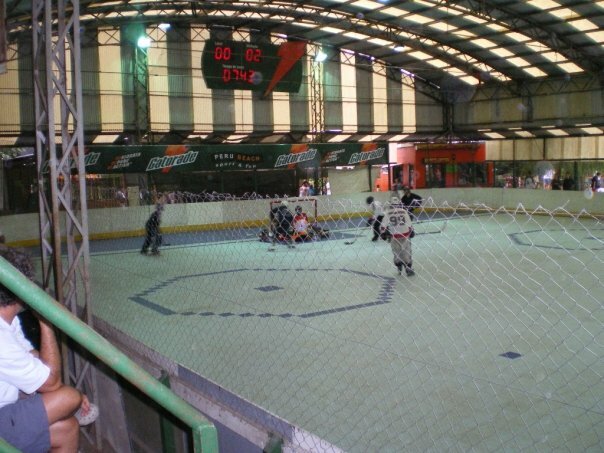 There is a regulation inline hockey rink, league with first division, second division, womens division, and junior leagues, and inline hockey is now even played at two „traditional“ football clubs, namely Huracan which has a team and participates in the leagues second division, and Atlanta where it is played but who sadly does not yet have a team. Furthermore, there is a league in Mendoza and teams in Cordoba, Rosario, and Ushuaia . 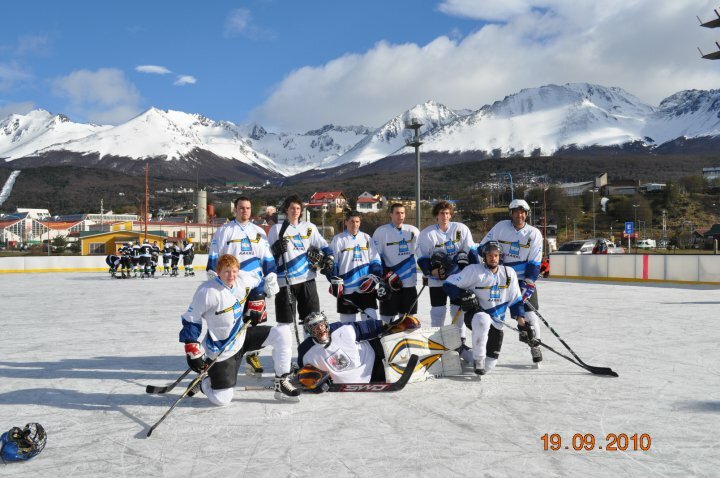 Aside from that, two national teams which compete in the inline hockey World Championships, and a yearly „National“ tournament with teams from across Argentina, as well as Brazil and Colombia. 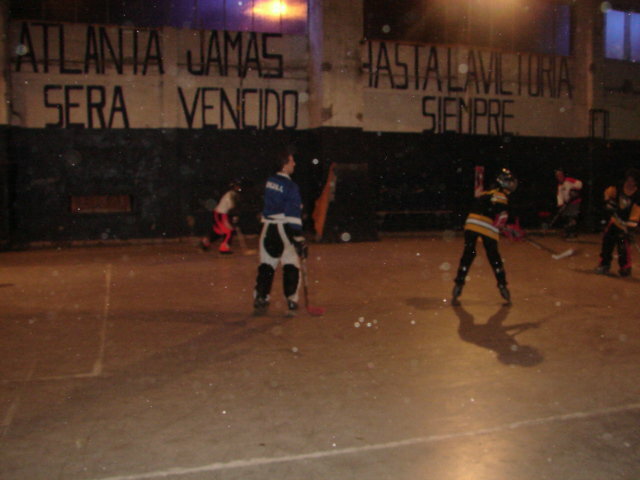 All in all, inline hockey has been growing more or less constantly in Argentina for over a decade. Ice hockey has unfortunately presented a much less positive picture. Despite the best efforts of some very committed people, the main problem is simply that the ice rinks in Buenos Aires are all significantly too small for playing ice hockey. 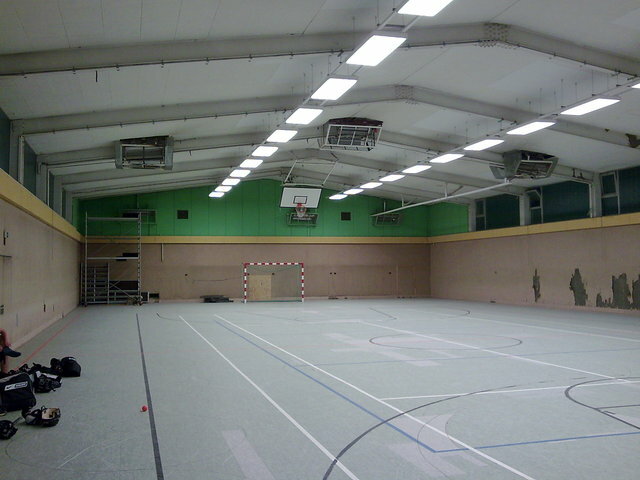 So, although there is a small league, the games are 3 vs 3 and the rink is basically the size of a large familys living room. This made the sport for many people rather unattractive, and led to people concentrating exclusively on inline hockey. 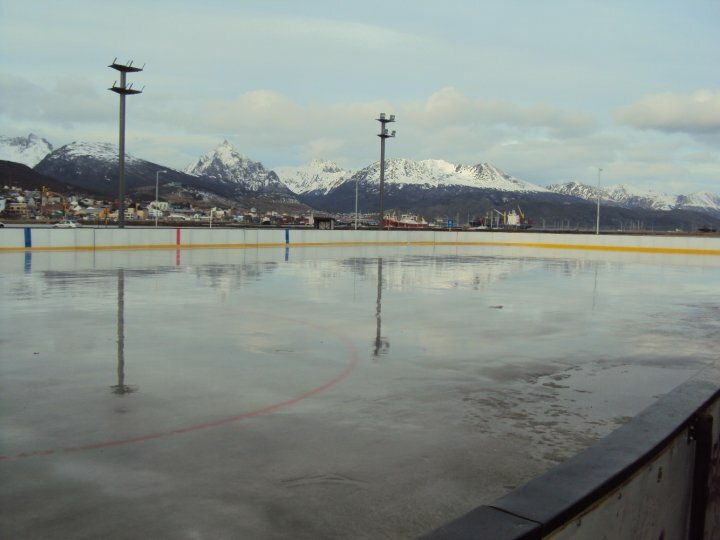 As you can see in the pictures, Argentina now has an *olympic sized* ice hockey rink…built by the city of Ushuaia (the most Southernmost city in the world, btw). Ushuaia is of course sadly quite far from Buenos Aires (4 hours by airplane), but this still means that locals can now play properly for several months per year, and attractive tournaments can be organized, such as the „Copa Fin del Mundo“ (End of the World Cup) which was held a few weeks ago. Also exciting, though still a long way away (and for my life sadly some 15 years too late), Argentina now meets the requirements to present a team for Division 3 of the ice hockey world championships and play against such powerhouses as North Korea, Mexico, South Africa, Turkey, Mongolia, and Israel! 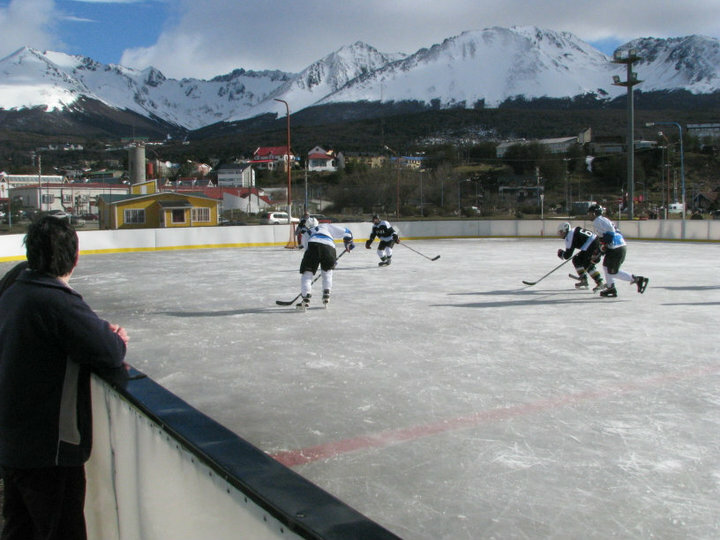 Do you have a contact person in Ushuaia for someone who wishes to play some ice hockey there? Any advice or websites? I‘m in Belarus. How could we make an exchange between hockey players from here for soccer players from there? Literatur jetzt auch noch auf German!